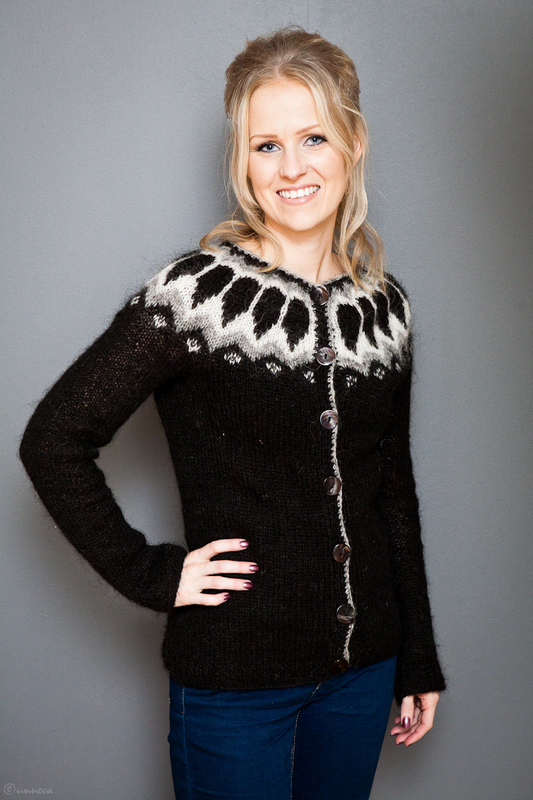 In this post I mentioned that I was knitting my first sweater with lopi from Þingborg. I finished it a while ago and am soooo happy with it. I used a single strand which is always a little stressful since it seems to be so weak while knitting. In this case it was extremely so. 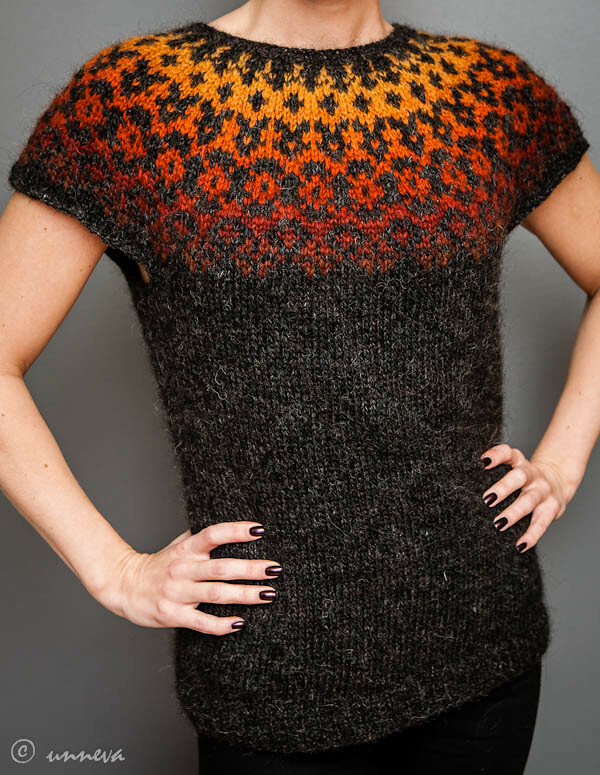 The black Þingborg's lopi is very, very delicate and I was afraid the whole time that this sweater would never make it more than a month. But fortunately I was wrong. I'm still using it and absolutely love the warmth and softness. 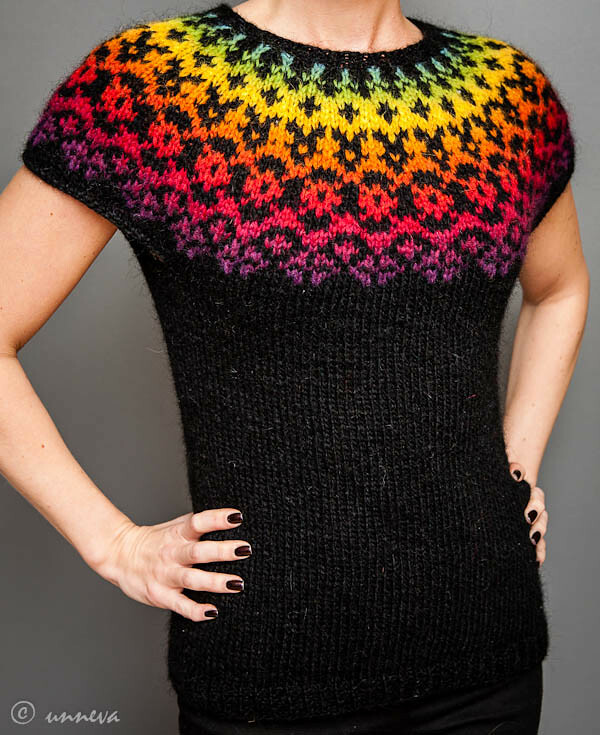 It's a design by Veera Välimäki, knitted with Drops alpaca. It took me quite some time to finish but I love the results, it's so soft and cozy. I just finished these vests made with Létt Lopi and Evilla preyarn. I just love ... no LOVE yarn that changes colors gradually.